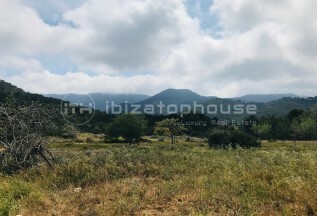 This property is located in the beautiful natural landscape near Cala Tarida and about 7 minutes from San José. 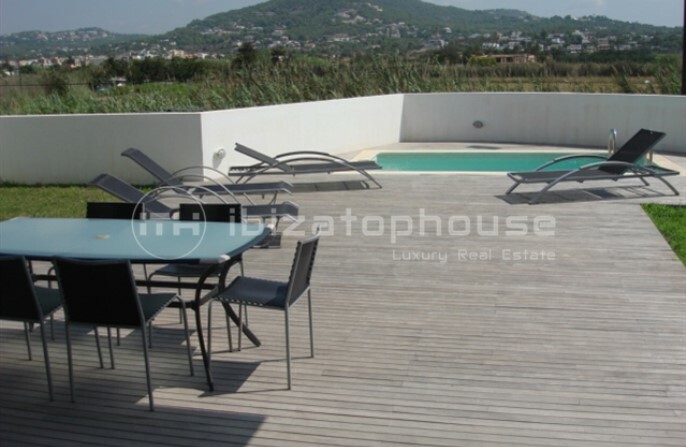 The property has generous outdoor areas , totally privacy and offers a beautiful sea view. 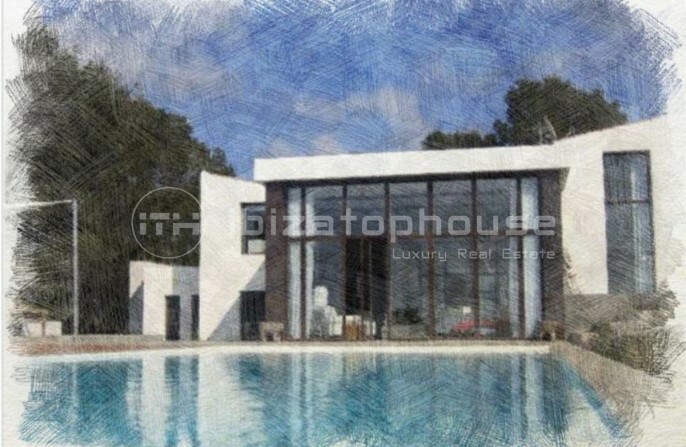 The villa impresses by the large light-flooded interiors and the extraordinarily high ceilings. Due to a legalization project the villa is currently in an unfinished state. 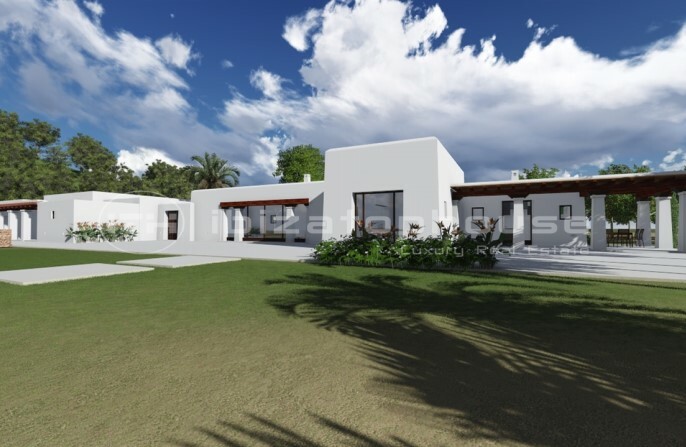 The legalization project has already been approved so is possible start the costruction The price of 2.4 is for the house as it is unfinished. 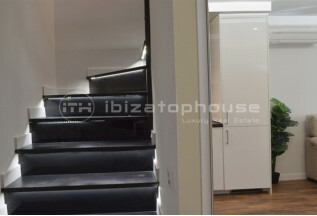 Moderno apartamento totalmente reformado, en primera línea del Paseo marítimo de Ibiza. Excelente ubicación: a pocos pasos del paseo marítimo y del puerto deportivo de Marina Botafoch, así como del centro de Ibiza y de la playa de Talamanca. Hermosas vistas al mar y al puerto. 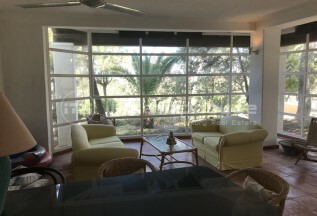 Cuenta con una cocina abierta, 3 habitaciones dobles, 2 baños. Aire acondicionado en toda la casa. 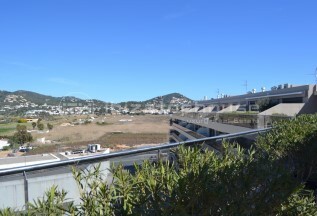 Desde la terraza se puede disfrutar de hermosas vistas del puerto de Ibiza y Dalt Vila. 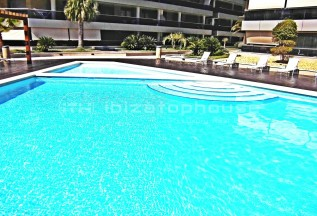 Ground Floor apartment with pool for sale in Ibiza . 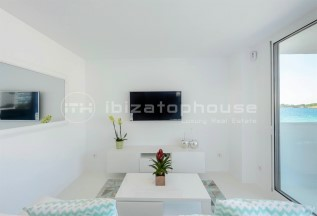 This nice apartment is located near the port of Ibiza , a perfect location to enjoy Ibiza all year around . The flat has 2 bedrooms , 2 bathrooms ,Oak wood floors throughout the house . It also has carpentry of the Technal brand ,crystal climalit ,kitchen brand "Doca" fully equipped ,Independent laundry and a community Gym . 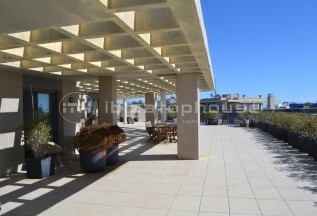 The apartment has a surface of 121 m2 and a private garden with pool of 170 m2 . 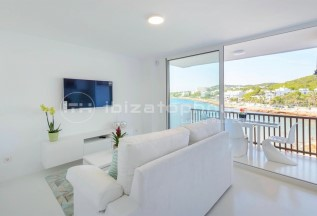 Unique and exclusive 5th-floor, 3 bedroom loft apartment with terrace and sea views in an unbeatable and peaceful location in Marina Ibiza. 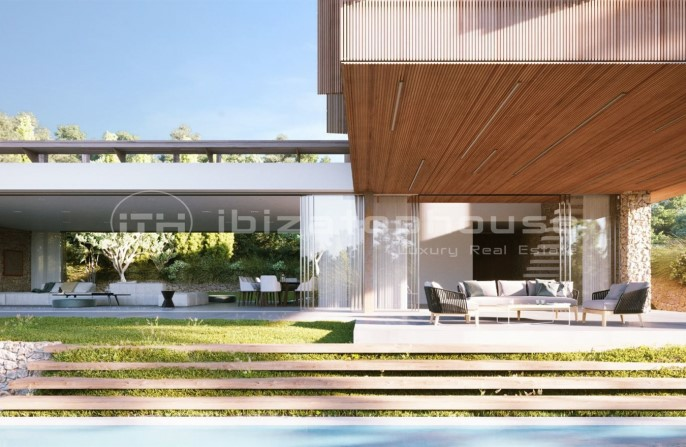 Patio Blanco is a beautiful modern building with a swimming pool, designed by world renowned architect Jean Nouvel, winner of the Pritzker Prize. 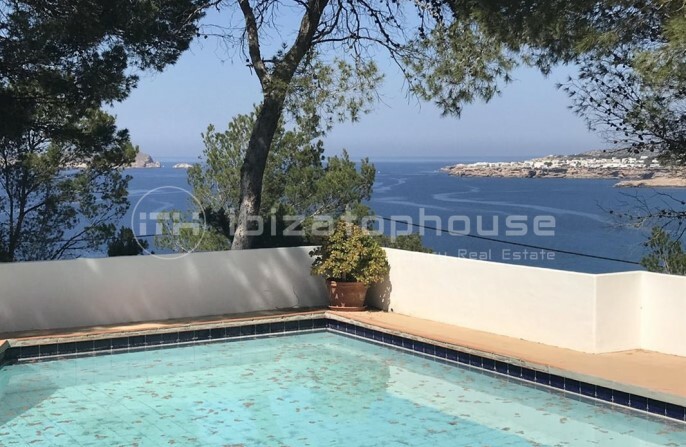 Perfect base to enjoy Ibiza and Formentera, whether relaxing at home within walking distance of Ibiza’s top restaurants and nightlife, or exploring by sea with your boat moored in the marina. •	Brand new luxury building designed by one of the world’s top architects Jean Nouvel, winner of the Pritzker Prize in 2008. 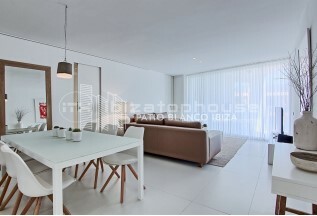 Beautiful and modern all-white design, in keeping with the calming style of the ‘White Island”. 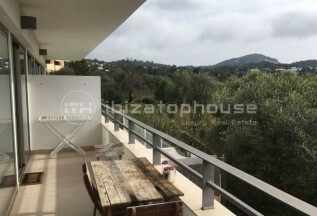 Within this building, the apartment occupies one of the most prime positions due to its peaceful outlook, orientation, privacy and roof access. •	3 double bedrooms, 2.5 bathroom 5th floor appartment (building has 6 floors) with well configured interior space (108 sqm / 1160 sqft) and private terrace (8 sqm / 86 sqft). Filled with natural light and high ceilings throughout. 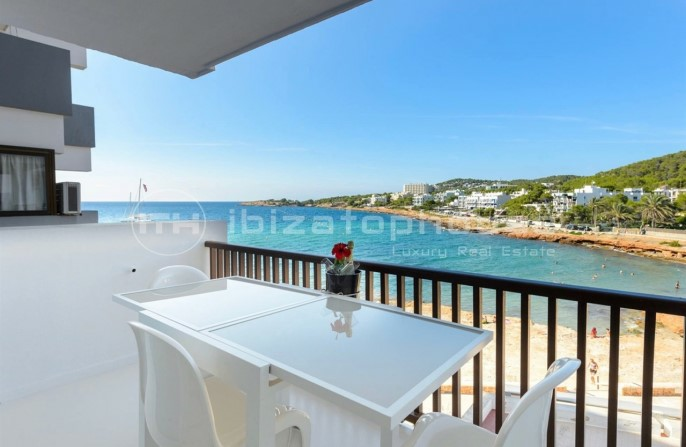 •	Beautiful sea views from spacious open-plan living area, and private terrace to Formentera and Marina Ibiza. Mountain views from bedrooms. 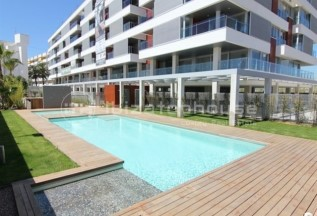 •	Communal deluxe swimming pool and rooftop sun terrace within the building including high quality sun loungers. 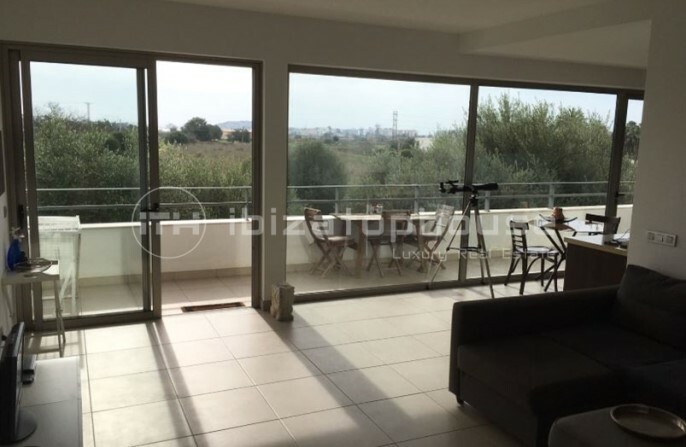 •	Private Terrace, south facing and adjoined directly to living area with sea views, with folding doors opening fully to one side. 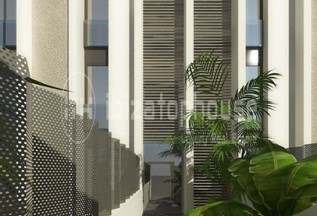 •	Elevator/lift access (one elevator/lift per staircase and with direct access from underground parking.) 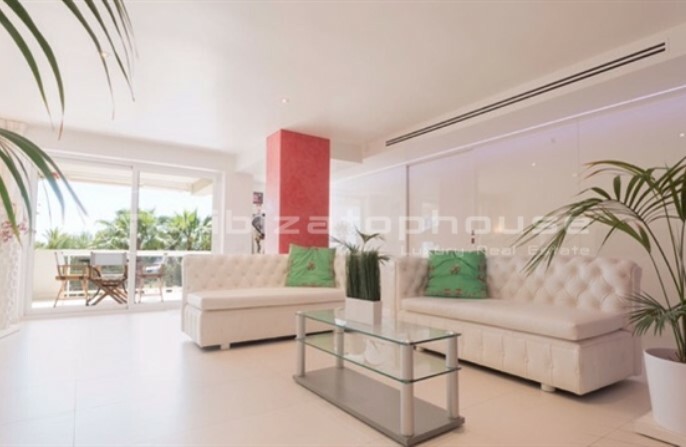 •	Large open-plan Living and Dining area with adjoining fully-equipped kitchen. •	Bedroom Layout sleeps 6 comfortably: o	Bedroom 1 Master: King Size bed 180x200cm. o	Bedroom 2: King Size bed 180x200cm. Convertible to two single beds 90x200 using a professional quality mattress converter ensuring comfort in both configurations. o	Bedroom 3: Queen Size bed 160 x 200cm. •	Bathroom Layout: o	Bathroom 1: Ensuite from Master Bedroom with shower, bath, washbasin, toilet, o	Bathroom 2: Ensuite access from both Bedrooms 2 and 3, with shower, washbasin o	Bathroom 3: Separate WC with toilet and washbasin •	High specification and quality modern furnishings brand new in 2014 throughout including: o	Air conditioning built in to walls o	Recessed indirect lighting o	Made to measure bed bases and headboards o	Built-in wardrobes in all rooms including 3m oversize in Master bedroom o	High quality kitchen and electric goods from Miele and Bosch o	Modern, tasteful and comfortable soft furnishings with neutral tones, including made to measure sofas of soft natural leather, with linen cushions o	100% cotton, white bed covers and sheets. 100% Feather duvet and pillows. 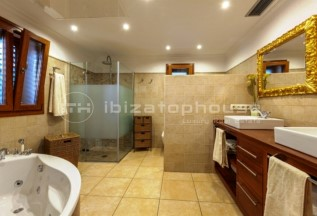 o	High quality bathroom finishings with modern white sinkware and stone grey showers with rain shower heads. 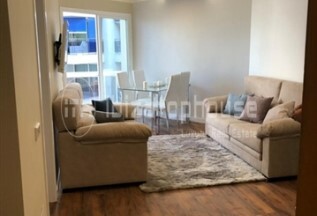 o	Flat screen Samsung TV, 48 inches o	Bose Sound Dock o	Nespresso machine •	Gated community building with 24 hour portered security •	Guest reception and resident concierge area •	Wi-Fi: High speed reliable WiFi with fibre optic connection. 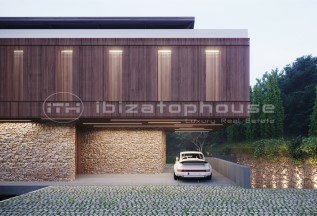 •	Parking: 1 private secure underground parking space. Operated via remote and with direct elevator access. 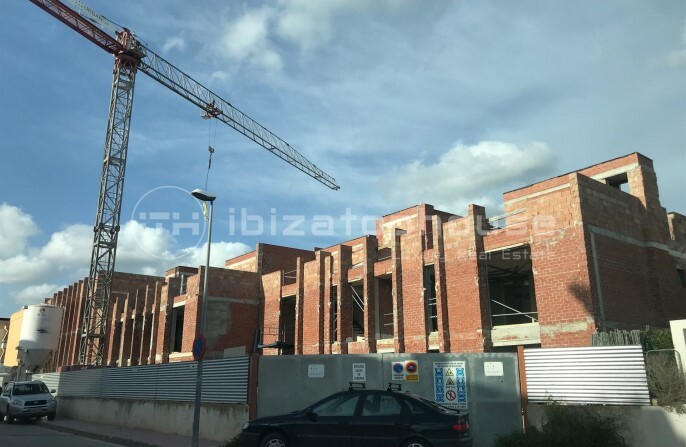 The luxury new apartment of 90 m2 will be completed at the end of 2019. The centrally located Jesus has a friendly atmosphere, where various restaurants and supermarkets can be found within walking distance. 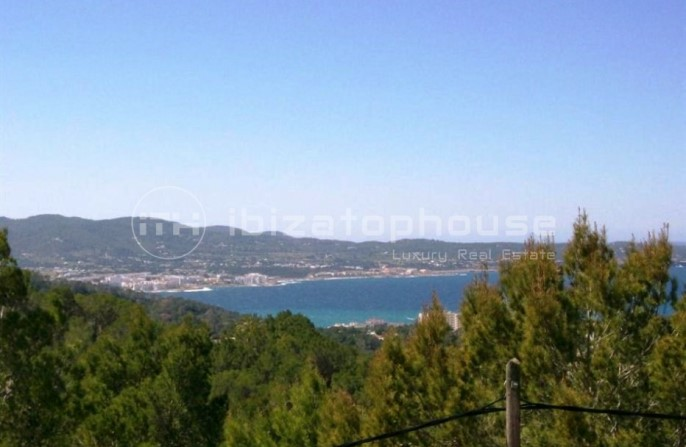 You can also reach the beach of Talamanca just a ten minute walk from your spacious residence. 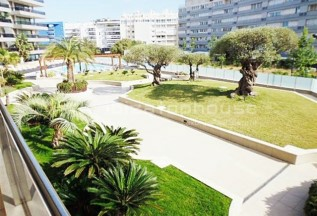 The spacious apartment is located on the ground floor and has an amazing garden of 88 m2 with a beautiful private pool. 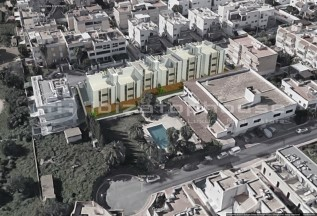 Because of its location in a quiet street, your peace and privacy are guaranteed. The house has three bedrooms and two bathrooms, one of which is en suite. 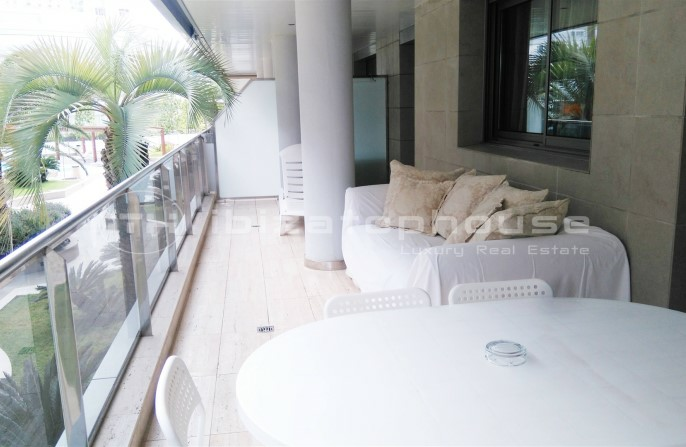 The entire apartment is delivered according to the highest possible standards and with an excellent finish. 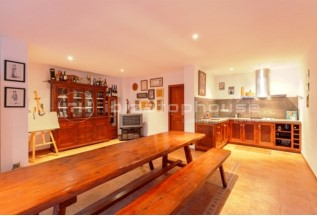 The modern kitchen is equipped with the best appliances and in the basement is a storage room. The private parking is also situated here. 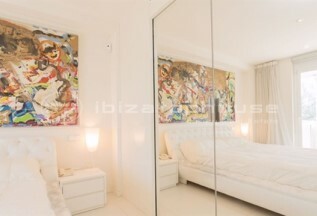 Luxury 3 bedroom apartment, in the area of the Paseo Maritimo of Ibiza. 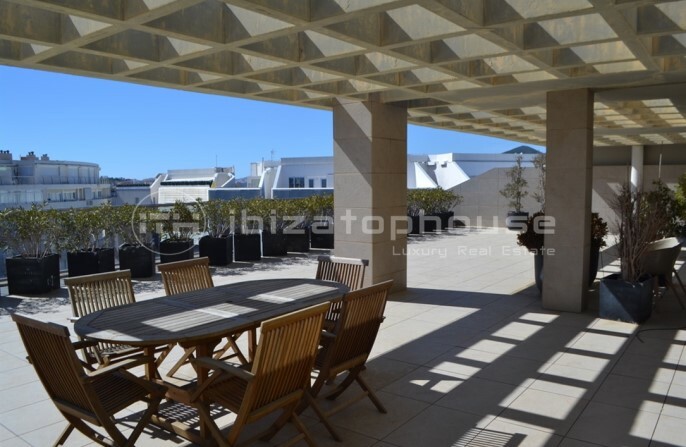 The apartment has a surface of 125 m2, has 2 terraces, one of 16 m2 and another of 6 m2. 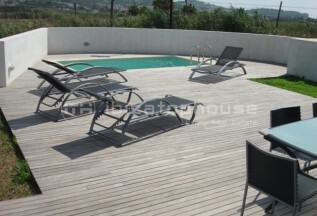 It has wooden floors, domotica, electric shutters, laundry, parking and 24 hour concierge. It is a modern building with communal pool. 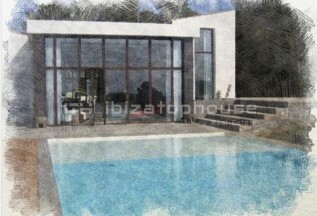 Tipically Ibiza style Villa with plot of 1.287 m2, living area of 127 m2, constructed area of 148 m2. 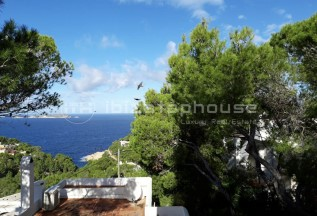 Situated in the exclusive hill area of Can Germa, only 1,6 km distance of the beach Cala Salada. 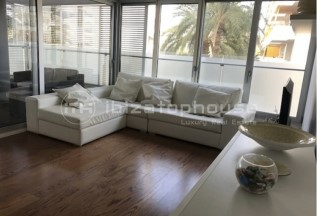 Big living room with dining area, separate kitchen, 2 double bedrooms (1 with balcony), 1 bathroom with shower, 1 guest toilet, wardrobes, big conservatory, ground floor with 1 guest bedroom (possibility to install 1 bathroom). 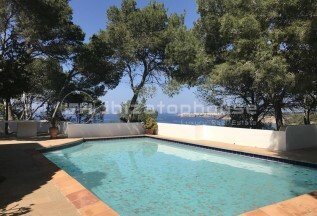 Pool with sun terrace and outdoor shower, various open terraces, big roof terrace with view onto the sea, BBQ- area, storage rooms, central heating with gasoil, partially A/C, telephone, semi furnished, Mediterranean garden area, natural stone walls, separate garage and parking area, the plot is fenced, from the main level views onto the sea. 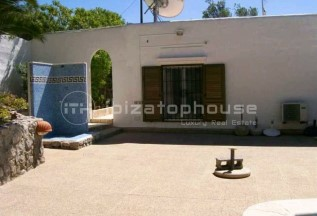 High quality Villa with plot of 1.290 m2, living area of 255 m2, constructed area of 321 m2. 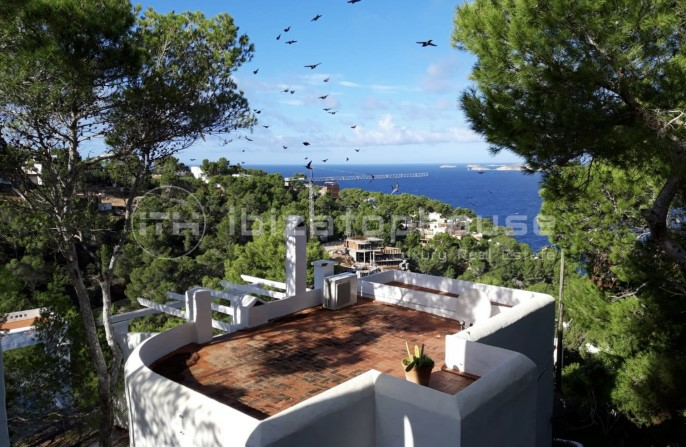 Situated in the exclusive hill area of Can Germa, close to Cala Salada and Cala Gracioneta, only 3 km away from San Antonio. 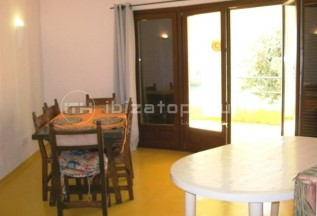 Entry area, big living room with dining area, fully equipped modern kitchen, guest toilet. 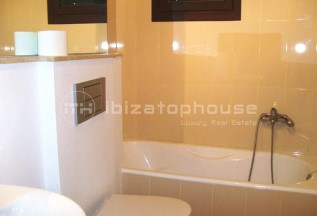 Master bedroom with bathroom en suite and Jacuzzi, walk in wardrobe, 2 double bedrooms, 1 bathroom. 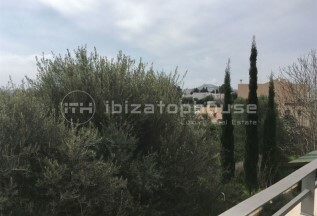 Ground floor with separate guest apartment with living area/bedroom, open kitchen, 1 bathroom, direct access to the pool area. Various open and covered terraces, all bedrooms with parquet floor, laundry room, garage, Bodega, storage room, pool with sun terrace and outdoor shower, BBQ, Mediterranean garden area, entry with automatic door, big carport, A/C hot-cold, central heating with gasoil, telephone, Internet, security double glass windows, semi furnished, big roof terrace, the plot is fenced, views onto the country area and partially onto the sea. The property has licence to rent. 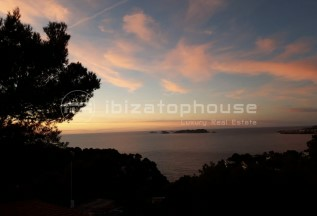 Nice Chalet in Cala Gracio/Cap Negret, situated in the north of San Antonio. 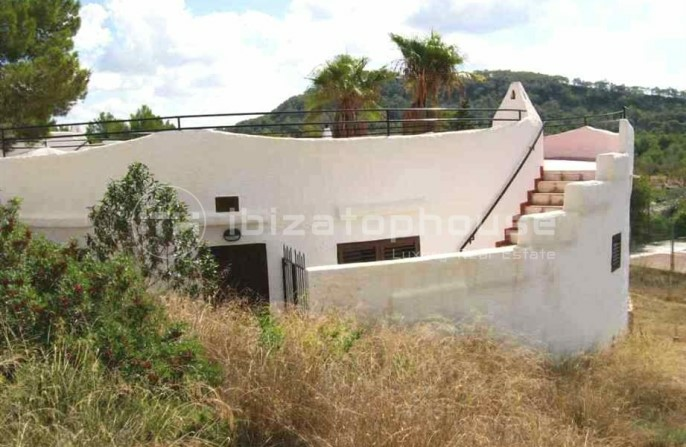 Plot of 429 m2, house with living area of 115 m2, constructed area of 137 m2. Spacious living room with fireplace, dining area, 3 double bedrooms with 3 bathrooms en suite, semi open new kitchen, wardrobes, storage room, SAT, furnished, covered terrace, very big roof terrace with sea view and sunset, windows of PVC with double glass, shutters, fly screens, private parking area, Mediterranean garden, quiet area, only 10 minutes walking to the beach. 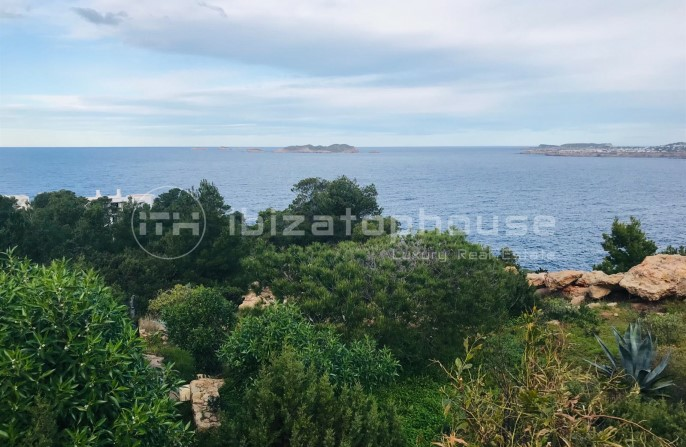 Ibiza Front line House with tourist licence The house has been totally reformed , has 5 bedrooms , 4 bathrooms , large terraces , private pool and garden . 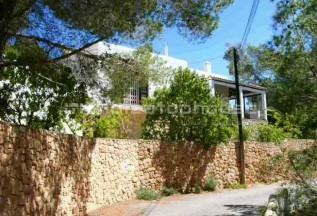 This nice property is very good located near the Cala Vadella and Cala Moli beach. 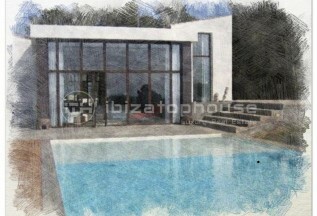 Very modern project to build an luxury home in the high demand area of Can Rimbau. 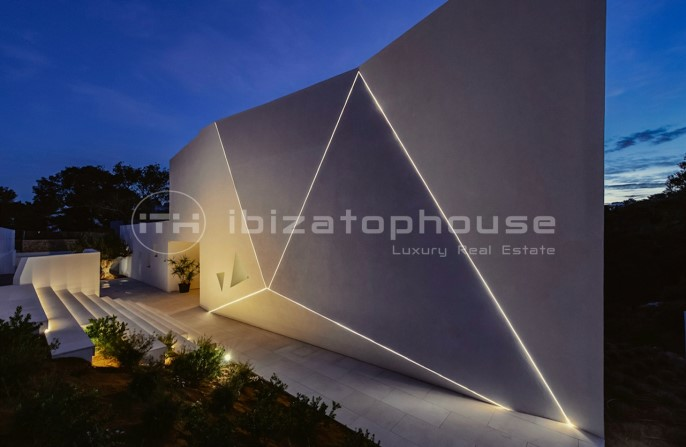 The villa rises over two levels and combines spaces both inside and out with carefully chosen architectural structures that play with the light and the warmth of the environments. 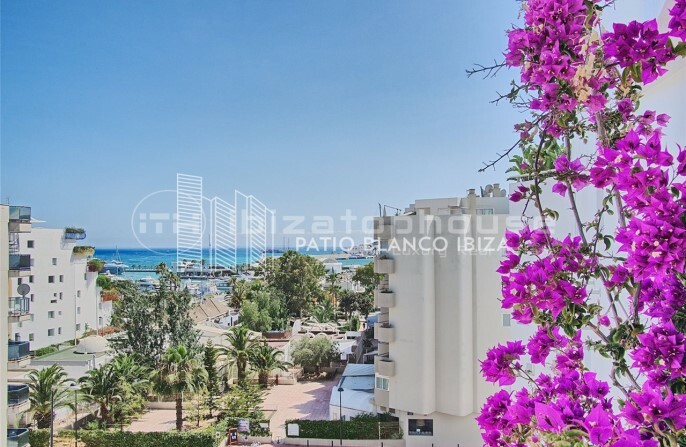 Special features include ample terraces and lounge areas including a decked roof terrace, a spacious under ground garage with additional spaces, gardens and a swimming pool. Apartment with 2 double bedrooms and 2 full bathrooms. 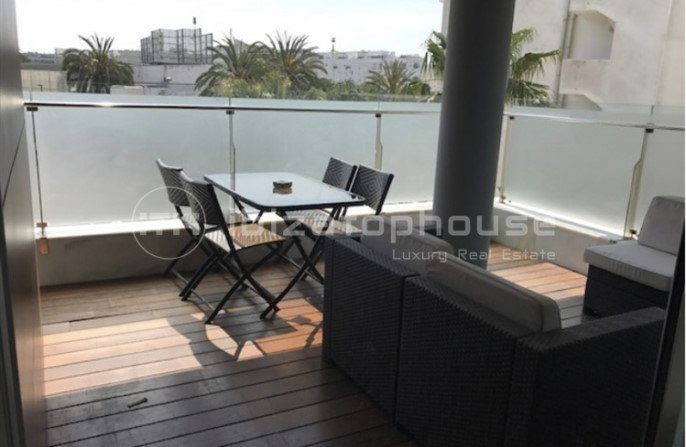 The apartment has a surface 77 m2, balcony 30 m2. Full and separate kitchen. Air conditioning throughout the apartment, Security 24 hours. Easy parking without private parking.